ASTA developed a list of the most frequently asked questions and their answers for import tolerances on pesticides, establishment and enforcement. 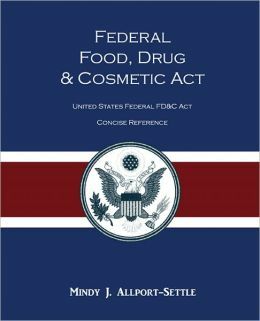 The presence of pesticide chemical residues in foods, such as spices, is regulated under section 408 of the Federal Food, Drug and Cosmetic Act, as amended (FFDCA). The permissible level of pesticide chemical residue allowed in or on foods or feed is governed by either a pesticide tolerance or an exemption from tolerance. If a food contains a pesticide residue for which no tolerance or exemption from tolerance has been established, it is adulterated within the meaning of section 402 of the FFDCA, and is subject to enforcement action. A tolerance is the maximum amount of pesticide chemical residue that can be in or on a food or feed commodity. What is an exemption from tolerance? An exemption from tolerance is issued when it is determined that the total quantity of the pesticide chemical in or on the food will present no hazard to public health. What is an import tolerance? U.S. law does not specifically differentiate a tolerance as an “import” tolerance or a “domestic” tolerance. It reflects a situation where a tolerance is established for a particular residue that may be on an imported food when there is no corresponding U.S. pesticide registration for such use. Who establishes an import tolerance? The U.S. EPA is responsible for establishing import tolerances or exemptions from tolerance. Are tolerances needed for pesticide chemical residues in raw agricultural commodities as well as processed foods? With the passage of the Food Quality Protection Act, all tolerances, whether applicable to a raw agricultural commodity or its processed food are established under section 408 of the FFDCA. If the pesticide chemical residue in a processed commodity is greater than the residues in the raw agricultural commodity, a separate processed food tolerance is required. What standard is used by EPA in establishing a tolerance? Section 408 of the FFDCA requires that to establish a tolerance, EPA must determine that the levels of the chemical proposed in the tolerance are “safe.” Safe means a reasonable certainty of no harm to human health. What factors does EPA consider in making a safety determination associated with a tolerance? EPA will consider the potential risks from exposure to the pesticide chemical residue on sensitive populations, particularly infants and children. The agency will also consider cumulative effects from exposure to pesticides with a common mechanism or mode of action or toxicity. EPA will also consider the potential endocrine (hormonal) effects of the chemical. Is the establishment of a MRL by Codex Alimentarius Commission considered by EPA in the tolerance process? Section 408(b)(4) of the FFDCA requires EPA to determine whether a Codex MRL has been established for the pesticide chemical residue in the particular food commodity. Can an import tolerance be established where the existing U.S. registration is canceled? 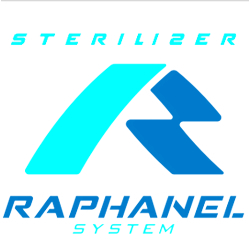 The registration of a pesticide is separate from the establishment of a tolerance. Product uses may be canceled and an import tolerance be established or maintained for canceled use. Can EPA require the submission of data to support a tolerance even if there is no U.S. registrant supporting the registration of the use? For maintaining an existing tolerance there is a mechanism whereby EPA publishes a public notice in the Federal Register which identifies the data needed and requests any interested person to submit such data. What information does EPA typically require to establish tolerance? To make its determination, EPA will generally want to review data regarding the toxicity of the pesticide, the expected chemical residues in the treated food, and information concerning consumption patterns, i.e., how much of the treated food is consumed by the specific populations of interest. This applies to all tolerances. Is there a formal process established for requesting an import tolerance? Does EPA provide specific guidance concerning the conduct of studies needed to support a tolerance petition, for example, the number of residue studies that are necessary? EPA has developed guidance on the study requirements. Such guidance includes for example, the means for determining the number of residue studies needed to support a tolerance. Are there any fees associated with a tolerance petition? Congress, through the Pesticide Registration Improvement Act (PRIA), established a fee for service system which applies to, among other things, tolerance-setting. Can fees be waived for reduced? Up to 75% of a fee can be waived under certain circumstances. Does EPA allow data on a representative food to apply to a class of foods? EPA has established a “crop grouping” process for purposes of establishing a tolerance. Crop Subgroup 19A. Herb subgroup. Basil (freshand dried) and chive. …………… Crop Subgroup 19B. Spice subgroup. Black pepper; and celery seed or dill seed. …… Angelica; balm; basil; borage; burnet; camomile; catnip; chervil (dried); chive; chive Chinese, clary; coriander (leaf); costmary; cilantro (leaf); curry (leaf); dill weed; horehound; hyssop; lavender; lemongrass; lovage (leaf); marigold; marjoram (Origanum spp. ); nasturtium; parsley (dried); pennyroyal; rosemary; rue; sage; savory, summerand winter; sweet bay; tansy; tarragon; thyme; wintergreen; woodruff; and wormwood.Allspice; anise (seed); anise, star; annatto (seed); caper (buds); caraway; caraway, black; cardamom; cassia (buds); celery (seed); Cinnamon; clove (buds); coriander (seed); cilantro (seed); cumin; dill (seed) fennel, common; fennel,Florence (seed); fenugreek; grains of paradise; juniper (berry); lovage (seed); mace; mustard (seed); nutmeg; pepper, black; pepper, white; poppy (seed); saffron; and vanilla. A tolerance is enforced by the FDA and the states for most foods. Does FDA sample all imported foods for pesticide residues? No. FDA does not have the resources to sample all imported foods. Rather, FDA selects individual lots usually collected at the point of entry into the U.S. commerce. What does FDA use to determine whether to sample a lot being imported? FDA takes into account a variety of factors in making sampling decisions. These include an evaluation of the history of previous problems, dietary significance of the food, origin of imported food, general intelligence and the toxicity of the pesticide. What methods are typically used by FDA in analyzing foods for pesticide residues? Generally FDA’s laboratories rely on multi-residue analytical methods. The Agency generally avoids using single residue methods (SRM). If FDA determines the sampled lot contains pesticide residues above the established tolerance or at a detectible level where no tolerance exists, what will occur? The food will be denied entry into the U.S. The Agency can also implement a “Detention Without Physical Examination” (DWPE) dealing with future potential imports of the commodity. If an imported food falls within a DWPE how may it be removed from that status? The importer has to establish to FDA’s satisfaction that the problem which gave rise to the designation has been addressed and that future shipments will comply with import requirements. Does the Agency ever coordinate sampling among its district offices? FDA will conduct on occasion “focused sampling”. This is generally what the term implies. It is implemented where FDA believes there may be a problem and the Agency wants more information collected, but collected in a way that if a problem exists, enforcement action can be taken. How does the violative rate for pesticide residues in imported food compare with domestically produced food? Historically, the violative rate for imports is three to four times that for domestically produced food. Most of the imported violative samples relate to samples where there were no tolerances established rather than an over tolerance situation. I remember when ASTA was insular. Today ASTA is more connected and engaged in so many ways….internationally, with other trade associations, with FDA and other Federal agencies, and with all of our stakeholders. The result is an association acting proactively on behalf of its membership. Roger Lawrence, McCormick & Company, Inc.